Earlier this week, ITHAKA released its findings from a randomized study at 6 public universities of Carnegie Mellon University’s Open Learning Initiative’s Statistics course, as delivered in a blended format. Their research found no credible differences in course completion or student learning outcomes between the students who took the face to face or blended course. A link to the full report is here. While the Gates Foundation didn’t sponsor or fund the research, the results of this study have important implications for our the technology enabled learning and innovations work that we fund broadly via our Next Generation Models team or the Next Generation Learning Challenges partnership. While the results of this study aren’t necessarily novel – they do emphasize once again that the development of intelligent learning technologies or digital cognitive tutors are at an early stage. While there are many caveats that even the researchers point out (i.e., this is only a study about one OLI course), this research is of tremendous importance to those of us who care about evidence based policy and change. The cost and level of implementation difficulty in executing this type of a randomized research experiment in higher education are high. While this experiment involved six campuses, because of complex institutional research requirements and the voluntary nature of participation in the study by students, ITHAKA was only able to put together a sample size of 605 students (total student enrollment in the course across all six campuses was over 3,000 students). This sample size is nevertheless statistically significant. In comparison, only 5 studies cited in the oft-cited DOE meta-analysis on online learning had sample sizes over 400 students. ITHAKA worked with six public universities to create “control” and “treatment” groups at each institution to compare and measure student learning outcomes between a intro statistics course taught in the traditional face to face method vs. a course taught with OLI (coupled with a once a week face to face meeting). The institutions that participated in the study were: CUNY Baruch College and CUNY City College, SUNY Albany, SUNY Institute of Technology, UM Baltimore County, and Towson University (also part of the University of Maryland system). While these institutions don’t represent an effective sample of all American higher ed, they do represent populations and demographics have both large commuting and residential populations, large numbers of minority students and students from low socioeconomic status families. No community colleges were able to participate in the study despite ITHAKA’s attempts to include them. Of great importance: the study found “no statistically significant differences in learning outcomes between students in the traditional – and hybrid format sections…we can be quite confident that the ‘average’ effects were in fact close to zero.” Even when a variety of other potentially significant factors amongst various subgroups were evaluated by the researchers (i.e. student data vis a vis race/ethnicity, gender, parental education level, college GPA, number of hours worked for pay), they still found that “on average, students learned just as much in the hybrid formats as they would have had they instead taken the course in the traditional format.” Even across the various institutions they didn’t see large differences in outcomes. Instead, the research did reveal that students who took the blended course spent an average of 25% less time completing the course (so similar learning outcomes as the face to face course in 25% less time). Yesterday, I spent the day learning more about the work of the Smarter Balanced Assessment Consortia (SBAC). The Smarter Balanced Assessment Consortium (Smarter Balanced) is a state-led consortium working to develop next-generation assessments that accurately measure student progress toward college- and career-readiness. Smarter Balanced is one of two multistate consortia awarded funding from the U.S. Department of Education in 2010 to develop an assessment system aligned to the Common Core State Standards (CCSS) by the 2014-15 school year. Combined with the other consortium — Partnership for Assessment of Readiness for College and Careers (PARCC) — this represents a $330 million dollar investment in next generation assessments. Over at Getting Past Go, Bruce Vandel has some thoughts on how this will impact postsecondary education. While you’re there, check out the guest post from PARCC’s Allison Jones. This project will impact students all across this country and fundamentally change how we measure “college readiness,” but my fear is that postsecondary educators are not currently engaged at a level that they need to be. Both consortia have robust plans in place for engagement, but more engagement can always help. 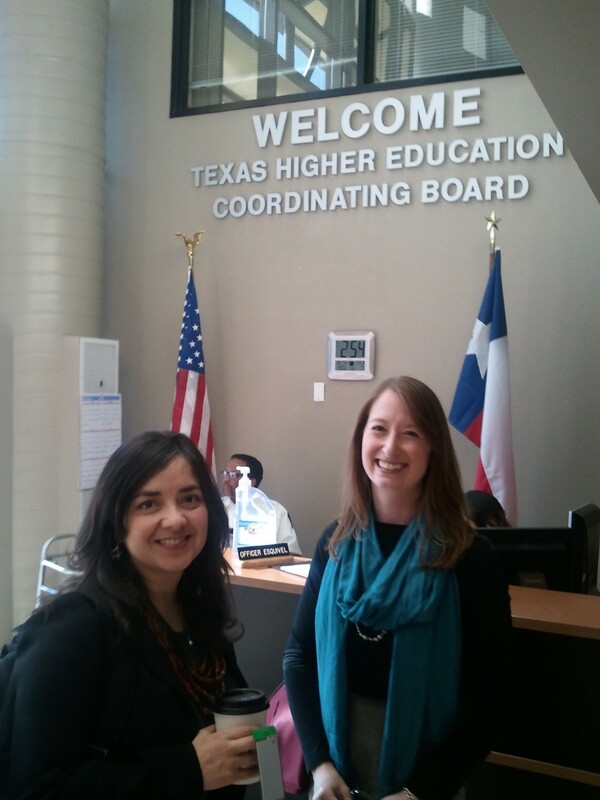 I just wrapped a day of very productive conversations with the Texas Completion by Design (CBD) cadre alongside my colleagues Suzanne Walsh and Bree Obrecht and our Director Hilary Pennington. We were thrilled to be invited into this dialogue with representatives from each of the participating Texas CBD cadre colleges (Lone Star, Dallas, Alamo, South Texas, and El Paso) and the state policy lead, Educate Texas. We were joined later in the meeting by Mike Collins (Jobs for the Future) – who is leading the state policy work across all four CBD states – and by Dr. Richard Rhodes (Austin Community College) who has agreed to chair the statewide advisory council for the initiative. Despite budgetary woes, TX colleges are thinking BIG. Leaders in the room shared their inital thinking around pathway redesign and it became clear that this will not be another set of pilot projects that struggle to scale. College leaders have internalized the goal of significant change for most students in their institution and their thinking is grounded in a shared belief that changes must impact a significant number of students. There are clear opportunities to do more work together. We spent a good deal of time identifying places where the colleges might work more closely together. These ranged from building the evidence base around priorities like dual enrollment to developing “spec sheets” for the kinds of instructional and information technology solutions that could benefit the entire cadre, and pooling efforts around talent recruitment and development. It was reassuring to see these colleges beginning to take stock of their collective assets and searching for opportunities to do more together. This model of collective intelligence is at the heart of the initiative. Better real-time intelligence about student course taking can dispel myths, unlock solutions, and enable action. It was clear that this is a data-informed group of leaders. Not surprisingly, there was stong demand for higher quality, more timely data about student course-taking patterns. Leadership described “home-grown” solutions that they have seen (Valencia, Sinclair), but they are thinking bigger than this. Could the TX cadre work with the vendor community to develop a shared asset that would allow for more customized and real-time data on student course taking and attendance patterns? The demand exists, but it is still unclear what this would look like. The policy agenda is coming into focus. Mike Collins (JFF) and Melissa Henderson (Educate Texas) facilitated a session with the CBD college leadership in which they worked to prioritize common areas of interest with regard to state policy. The group has work to do to finalize this list, but it seems that they will continue dialogue around four key areas (1) transfer policy, (2) performance funding, (3) articulating program of study requirements, and (4) data quality/use. This is a broad agenda and the group acknowledged that the key will be sequencing and communicating early and often to key stakeholders in the state. While I’m up-beat about progress in Texas to date, I also realize that we did not have time to discuss some important outstanding questions: what is the magnitude of improvement (retention and completion rates) that these colleges can reasonably accomplish over the next 2-4 years? How do we move forward with an improvement agenda when there is still a fundamental disconnect in how colleges, members of the legislature, and the general public measure success? How do we activate the broad base of college completion stakeholders in TX to ensure that the agenda has presence beyond this group of colleges and has the potential to truly transform postsecondary education in the state of Texas? Given that we are unlikely to see new money coming into the system in the near future, how do colleges prioritize their efforts in a way that doesn’t sacrifice access or quality? These questions are clearly bigger than a morning meeting and I know that they are on the minds of the TX cadre leadership. Our hope is that we can begin to tackle these together between now and April when the cadre implementation plans are submitted. I am increasingly convinced that most attempts to reform developmental education are misguided and ultimately destined to produce marginal or no improvements. This is also not a growing pessimism or an attempt to diminish the critical contribution of developmental education innovators all across the country. This is rather a deepening of my appreciation that framing the problem matters. Developmental education is one of the most notorious bottlenecks in the P-20 pipeline (the “Bermuda triangle” as some would have it — or, more forcefully, the place “where many dreams die”) and our respective organizations have invested a lot of time, money, and energy in increasing student success in these courses. State and institutional leaders in the field are under increasing pressure to produce more graduates — and to do so at a higher standard of quality with fewer resources. Added to this the rising attention that developmental education has been receiving on the national ed reform platform, it seemed only logical that these national experts should be able to distill – at a high level – the common design principles of systems that are able to help low-income, first generation students succeed. Given our shared work and points of view, this should not have been a difficult task. Or so we thought. As we got into the discussion we quickly discovered that solving the developmental education crisis is a false premise. Pursuing this path would only serve to prop up the current, ineffective and inefficient system that we have today and would ultimately produce, as one participant put it, more “weak solutions to the wrong problem.” What we discovered is that as long as developmental education remains a problem that those students have and that those (mostly adjunct) faculty members need to fix, we will not make meaningful headway on actual outcome improvement. The sad reality is that even students who enter a community college and do not need developmental education fail at alarmingly high rates (a recent CCRC analysis conducted using data from Completion by Design colleges puts the 5-year completion figure for these students below 50% compared to less than 20% for students with high remedial need. This includes all credentials and yes – the analysis even uses NSC data to account for students who transfer to another college). So what is the path forward? If solving the developmental education crisis is the wrong premise, what’s the right one? This is emergent thinking for our group, but I think we’re on our way. At the foundation, we’ve been talking about “early momentum to a credential” as a way to frame the task at hand less around those courses and more around helping students make measurable progress to the ultimate goal of credential completion in a reasonable amount of time. CCRC’s recent work emphasizes enrollment in a program of study as the new standard for success in the first year of community college (and other work by Judith Scott-Clayton importantly questions whether we should in fact consider community colleges “open access” institutions when so many students are forced to take non-college courses upon entry). ECS, Jobs for the Future, and Complete College America frequently describe the need to “blow up” developmental education and help colleges recosider the questionable distinctions that colleges make between “developmental” and “college ready” students. In partnership with the Carnegie Foundation for the Advancement of Teaching, the Dana Center is questioning the curricular integrity and applicability of pre-college programs altogether. Amidst these points of view is a path forward. I’m optimisitc that – with continued hard work and collaboration – we will find it. Where are the community college “sense-makers”? Community college leaders are under tremendous pressure to improve the rates at which students complete credentials – and to do so in less time, with fewer resources. The mission of the community college further dictates that they must accomplish this goal without sacrificing quality or access. Further pressure is applied when viewing the work of the community college through a social justice or economic competitiveness lens, which maintains that the country needs improved completion – in less time, with fewer resources, without sacrificing quality or access – while simultaneously eliminating gaps in outcomes between low-income students and their more affluent peers. Put differently, the completion agenda makes “access for all” look easy. Fortunately, community colleges are, by and large, up to the challenge. For the last three years, my team has been working with completion-focused college leaders across the country who are moving mountains to redesign student pathways focused on improved completion (see for example the Completion by Design project). Through these conversations, we’ve begun to uncover patterns in the challenges that community colleges are up against. Among other things, college leaders often reference redesigning developmental education, integrating technology to improve instruction and operations, and providing adequate amounts of effective faculty development as key areas of concern. While I am sometimes discouraged by the scope of this “list of worry,” I am encouraged to realize that these problems tend to cluster into a manageable group. And, more importantly, the problems are solvable. My team is doing what we can to support the colleges that we can, but our resources are limited and the philanthropic sector is (depending on who you ask) designed to provide resources to support upfront innovation — not ongoing operation. While I believe in the work that we are doing, in back of my mind I can’t help but think that there’s a more fundamental conversation that we need to engage: what is the sustainable model for supporting community colleges improvement efforts over the long haul? There are typically two answers to this question: (1) government or (2) the market. On the government side, I can see few reasons for hope in the near term. State budgets are declining and belts are tightening around higher education spending in near unprecedented levels (along with healthcare and K12 education). As a result, state higher education agencies – which represent one potential avenue for the sustainable provision of support to colleges in their state – are facing reductions in force, which greatly limit their ability to help colleges do things like report and analyze data and tap into the national knowledge base of “best practices” around models (in NC, 19 positions were recently cut from the state community college system office). Without this knowledge it is hard to know if community colleges will be able to meet the demands of the completion challenge. So where are the “sense makers” that can help community colleges as they work to address key barriers to improved completion? Over the last few months, we’ve been partnering with a team from FSG Social Impact Consultants to begin to wrap our heads around the current landscape of service providers in the community college sector. Their team administered an original survey to all community colleges in the country and spoke one-on-one to over 40 leaders from community colleges and support organizations from across the country. I’ll share some highlights from their findings here over the next month or so. You can bet that some of this will surprise you. 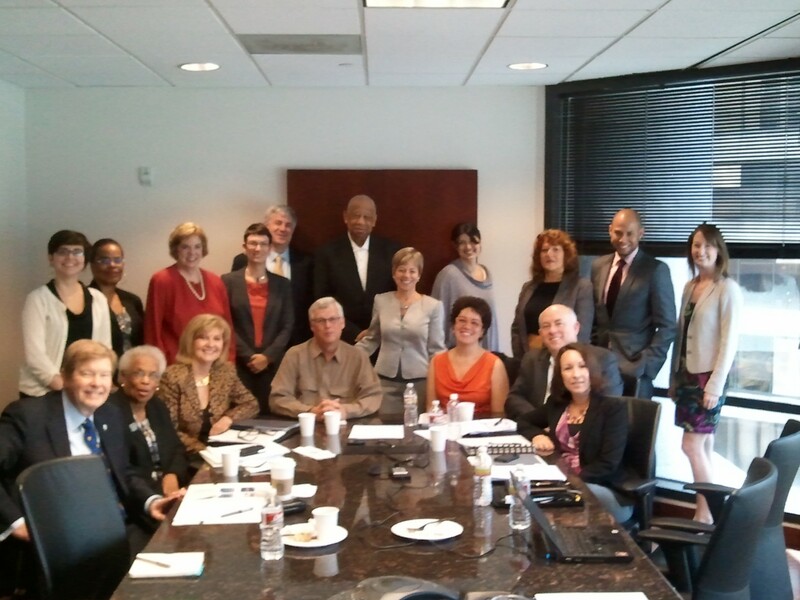 Over the past three plus years, I’ve been working with community college leaders across the country to improve student success in developmental (or remedial) courses. For nearly all of this time, we’ve been grappling together with some variation of the same central question: which practices work? How do we bring them to scale across the college and across the state? On our quest, my team and I have been turning over every possible stone in search of the best model and path to scale. We’ve seen nearly every model imaginable: from learning communities to student success courses; technology-enabled modular and accelerated approaches; models that use intensive “wrap around” services; models that reinvent the curriculum; and models that simply put the students in college level courses and provide additional support (sometimes called “mainstreaming”). Knowing that we’re on this pursuit, college leaders often ask: what’s working? What are the models that we should bring to scale? My response has varied from time to time, usually informed by a recent study that I have read or an exciting model that I had just seen in action. In all cases, I was careful to use caveats that would limit the risk of over-generalization – this is a limited sample. It was only piloted with a few course sections. It may not be right for all students in all situations – but I always gave and answer. I felt a need to share what I was learning, even if it was imperfect. More recently, my response has changed. Which model “works?” All of them. Our job should not be to choose any one or two universal approaches, but to match the right students with the right intervention for the right length of time. Though this has snuck up on as a “stupi-phany” for me, I’m lucky that community colleges (and some innovators in the K12 sector) have been there all along: they already segment their entering student population (into “college ready” or one of an array of “developmental” courses). They already offer an array of instructional approaches that serve specific student needs. Our quest should be to help these leaders (a) understand student “readiness” in more nuanced ways and (b) help them make the best possible referral decision with the information that they have available. Shifting to this new focus puts new demand on a different set of tools – improved diagnostic assessments, deeper analysis of student pathways, and decision support tools for institutional leaders and faculty. New question: If Netflix can recommend a movie I might like and Orbitz can find me the best flight, can’t colleges recommend an instructional strategy that is most likely to help me complete? Hypothesis: Of course they can, but they need (a) help understanding student needs in more nuanced ways, (b) a portfolio of high quality interventions, (c) a sophisticated system for matching students to interventions, and (d) robust feedback loops that can help refine this “matching” process overtime. The New York Times recently ran an excellent piece by Daniel Kahneman in the Sunday Magazine. The piece deals with the “illusion of validity” – the human tendency to have confidence in judgments that have little or no statistical validity. I read this piece with some pretty serious implications for work to improve college completion. Specifically, I think we can apply this phenomenon to college placement assessments. These tests – which have been shown to have little or no predictive validity – are consistently used in high stakes ways in our nation’s community colleges. Entering students are often unaware that these assessments even exist, which puts them at a defecit when they sit to take the test. This wouldn’t be so damaging if colleges considered other measures of “college readiness” (e.g. high school GPA, high school test scores) when making their placement decision. But in most cases they don’t. They tend to make their decisions based on the test alone. As Susan Headden details in her recent article in Washington Monthly College Guide, this sends mixed signals to students. We know that when students enter into developmental education their odds of making it out are incredilbly low (see for example here and here) so if we want to improve completion rates, our goal should be to place as few students as possible into these courses. It would follow, then, college placement tests with low predictive validity ought not be used in such a high stakes fashion. So why does this behavior persist? There are at least two clear culprits. The first is the instruments themselves. In measuring academic ability alone, these tests fail to account for the non-academic factors (i.e. tenacity, grit) that research suggests share a relationship with student success (see David Yeager’s summary of “productive persistence” here). The second is the cost associated with getting more data. Forthcoming reseach by Judith Scott-Clayton has demonstrated through that using a test score and high school GPA in the placement process is more useful than a test score alone. But it costs money to collect these data and this resource constraint makes it rare for communtiy colleges to collect things like high school transcripts. While we could think of ways to solve these problems (better assessment instruments, use of more data in the college placement process decision), I think Kahneman’s piece suggests a more fundamental flaw in how we think about “readiness” in the first place. Until we can confront the “illusion of validity” that exists in any assessment process, we’re not likely to uncover lessons that can lead to breakthrough solutions. 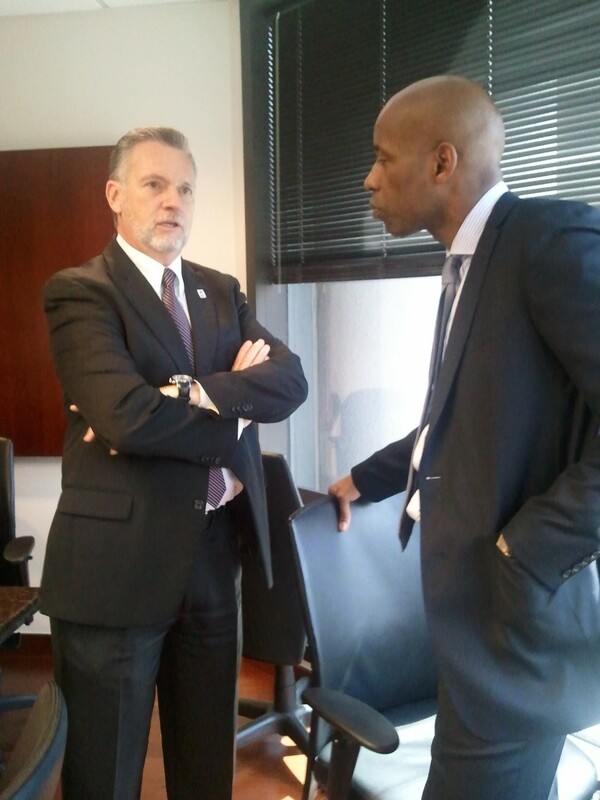 I recently visited with Kay McClenney and her team at the Center for Community College Student Engagement (CCCSE). We are working with CCCSE to help them enhance their annual surveys by adding a special item module that will help us (a) better understand which specific practices individual colleges are deploying to try and improve student engagement and (b) better understand the link between student engagement and improvements in student outcomes. The meeting was a great opportunity to get better acquainted with CCCSE’s organizational structure, mission, and vision. Over the long term, they want to build out their institutes (perhaps taking a regional approach) that can serve as annual opportunities for community college leaders who are serious about using data to redesign a student’s first year experience (i.e. help them gain “early momentum”). The meeting left me thinking about all of the intersections that CCCSE’s work might have with the Completion by Design project. Byron McClenny joined us for the last hour and gave an update on a powerrful project that he is leading for the Houston Endowment. This is a project designed to improve the transition from high school to college in the Houston area. The Institute for Evidence Based Change (national Cal-PASS model) is providing data support for this work. Both Kay and Byron encouraged us to lengage trustees as agents of change in the completion movement. The unique positioning of trustees creates opportunities “down” to presidents seeking support to pursue completion agendas and “up” into the state policy infrastructure. For more about CCCSE, check out the 2010 CCCSE National Report, The Heart of Student Success: Teaching, Learning, and College Completion.